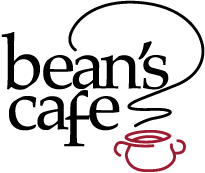 Join us for Bean's Cafe 40th Birthday and the 25th Annual Empty Bowl Project Saturday, March 9 from 11a.m. - 1:30p.m. at the Dena'ina Center. This event is presented by ConocoPhillips Alaska. Thank you to Matson, TOTE, Providence Imaging Center, Lynden, Providence Health and Services, and 49th State Brewing, our Premier Sponsors. Additionally KTVA Channel 11, KFQD/Alpha Media and Anchorage Press our media sponsors. Soups this year are: Smoked Tomato and White Bean Soup (Vegetarian) and Thai Chicken Curry Lentil with Sweet Potato (Meat). Congratulations to Sherrie Plaster and Lee Waters for the winning recipes. 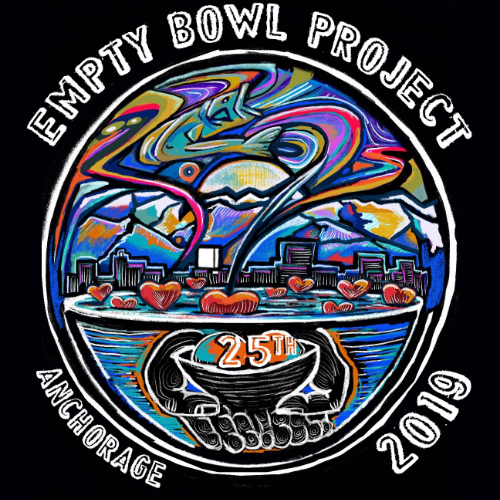 One bowl, soup and piece of cornbread at a time, the Empty Bowl Project looks to raise money and awareness to hunger issues in Anchorage. Now in its 25th year, the event is the largest annual fundraiser for Bean's Cafe and The Children's Lunchbox. Every Friday we send home over 3,300 bags of weekend food to elementary students and every dollar raised helps fund programs like our weekend food program. Local artists create and donate over 1400 bowls for the event, which offers attendees unlimited homemade soup and cornbread (and beverages) and their choice of a bowl to take home. The goal is to raise more than $100,000. Luckily artists continue to produce bowls and the community every year turns out to support us in this way and it's because of that support that we're able to keep our doors open 365 days a year to make sure no one goes hungry. This event kicks off with our Friday Night VIP party, Un Premier, held at 49th State Brewing (5:30 - 8:30 p.m.) and rolls into the main event Saturday. VIP tickets include access to Un Premier and early, VIP access Saturday morning. At Un Premier you will enjoy complimentary food and drinks, provided by 49th State Brewing, in addition to music, early selection of your bowl (you can exchange it on Saturday if you wish) and a live and silent auction. Tickets will be available at the door ($40 for soup and bowl and $20 for soup only) beginning at 10 a.m.